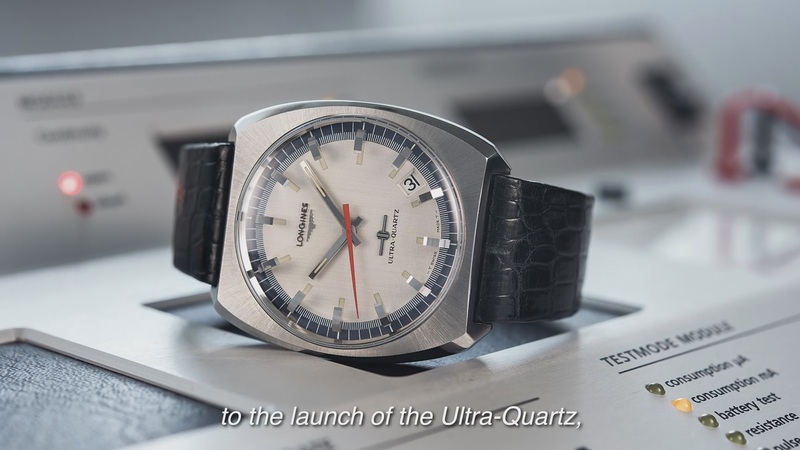 You could say that the breadth of Longines’ knowledge of quartz technology is impressive, what with its early foray into quartz watches in 1954, followed by the launch of the Ultra-Quartz in 1969, and most recently in 1984, where the quartz caliber was fitted in the very first Conquest V.H.P. (Very High Precision). 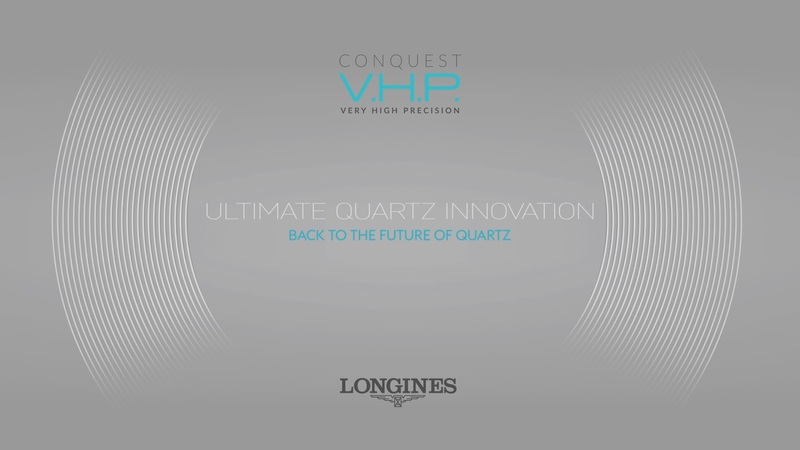 Fast forward to 2018, the winged hourglass brand is ushering in the future of quartz with the new Conquest V.H.P., an achievement in timekeeping that combines exceptional precision, high technicality, as well as a complementary sporty look — a nod to the brand’s experience over several decades as Official Timekeeper for world championships and as a constant (and trusted) partner of international sports federations. The Conquest V.H.P. immediately commands attention at first glance. The timepieces come in a 3 hands and perpetual calendar version in either 41 or 43 mm diameter cases, as well as a chronograph version that is slightly larger at 42 or 44 mm. 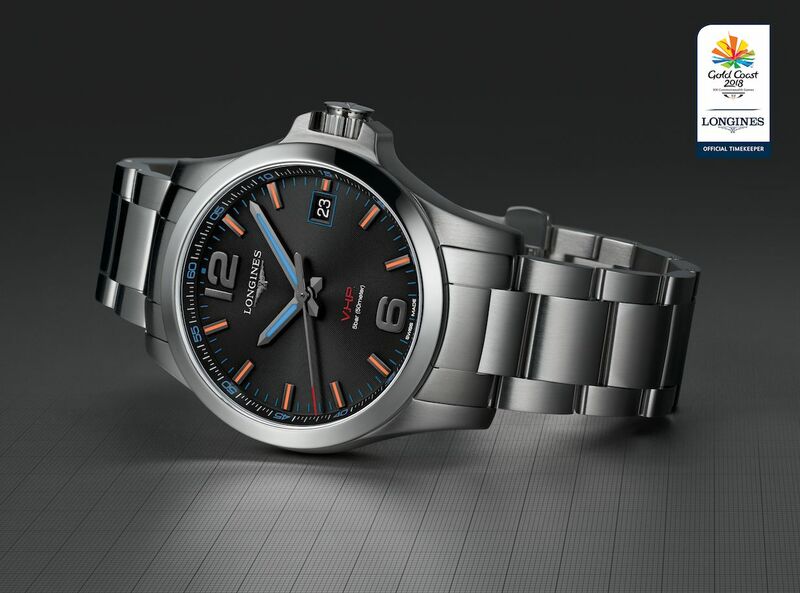 Choose between blue, carbon, silver, or black dials that subtly glisten as you move, finished off with a sleek stainless steel bracelet, as well as a black or blue rubber strap with a folding safety clasp. 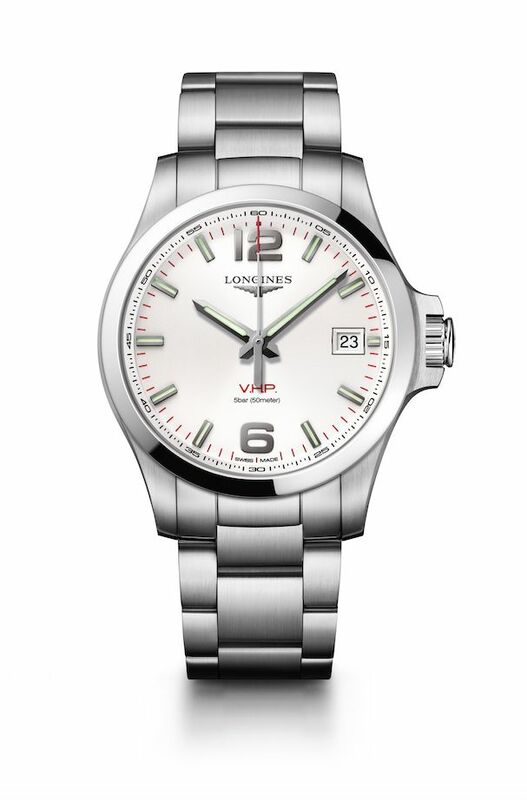 But within the picturesque exterior is where the magic lies, with features that are sure to impress watch aficionados. 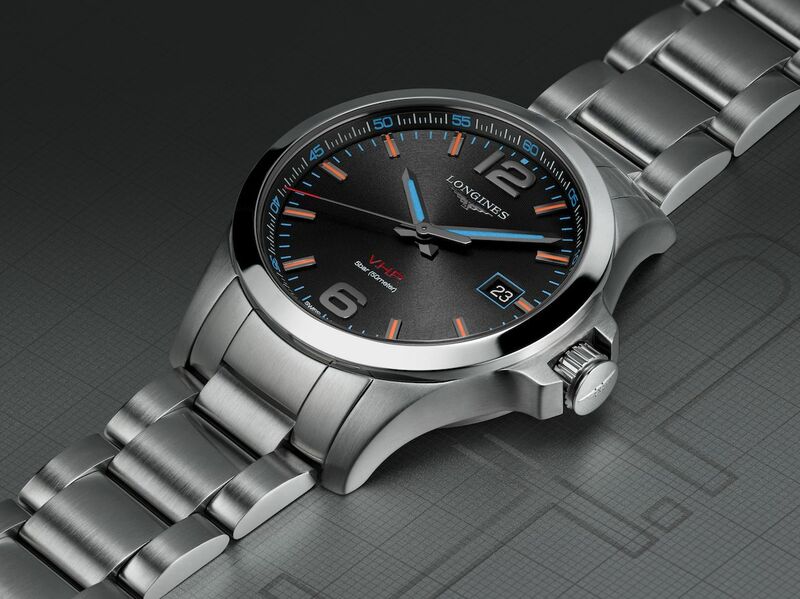 Where battery life is concerned, rest assured that you’d be using it constantly because it boasts a 4-year lifespan, with an exceptional precision for an analog watch. We’re talking +/- 5 seconds a year. The Conquest V.H.P. also has the ability to reset the hands after an impact or exposure to a magnetic field with the help of the in-built Gear Position Detection system, either immediately or every day at 3am if the problem isn’t solved right away. Finally, the timepiece’s smart crown makes setting time a whole lot easier, particularly during daylight savings time in summer or winter. All the wearer has to do is vigorously twist the crown, which causes a long rotation and the movement automatically positions the second and minute hands to the exact position of the previous time. 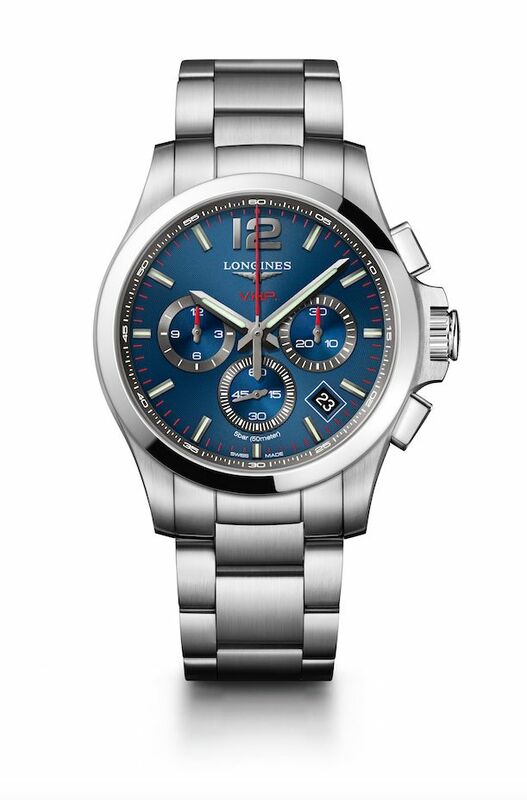 This year, Longines is the Official Partner and Timekeeper of the XXI Commonwealth Games held in Gold Coast, Australia. To commemorate this special occasion, Longines presents the special edition Conquest V.H.P. Gold Coast 2018 Commonwealth Games timepiece, which is limited to 1,000 pieces. 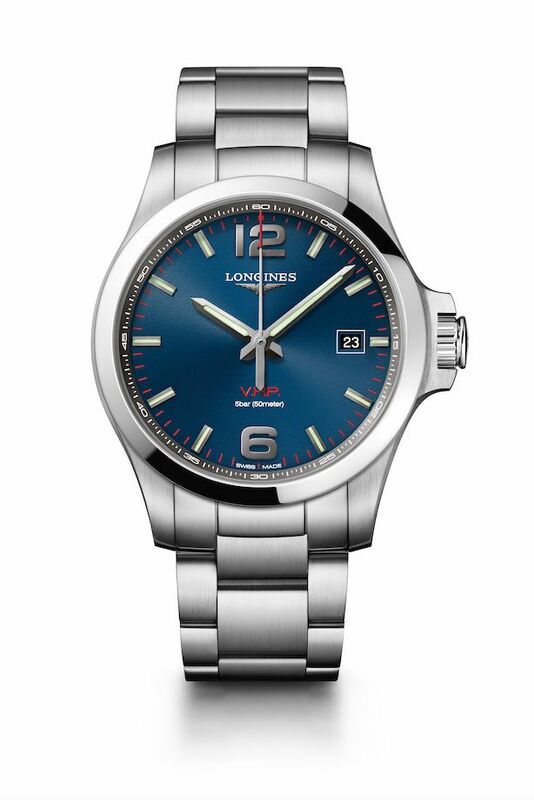 The watch comes fitted with all of V.H.P.’s impressive features, but stands out with the engraving of the games’ official logo and is infused with the official colors of the event. 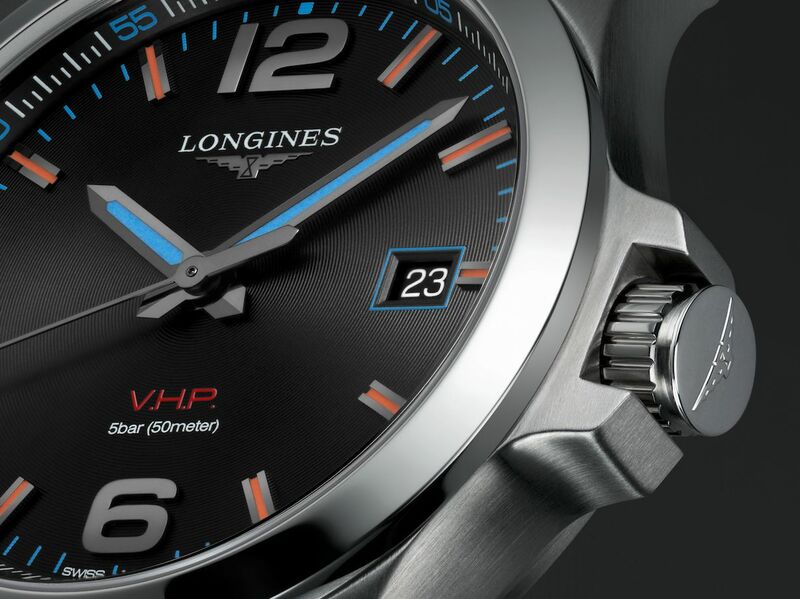 Here, a sleek black dial becomes the perfect canvas for orange indexes, striking blue accents, and the V.H.P. mention in red.